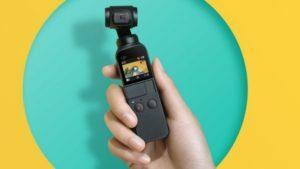 Yesterday, DJI announced Osmo Pocket, a downscaled Osmo three axis gimbal stabilizer, which adds its own 4K camera, and a huge array of video tools to capture that cinematic moment like a professional. And since it’s the size of a pair of sunglasses, you’ll want to have it with you all the time. 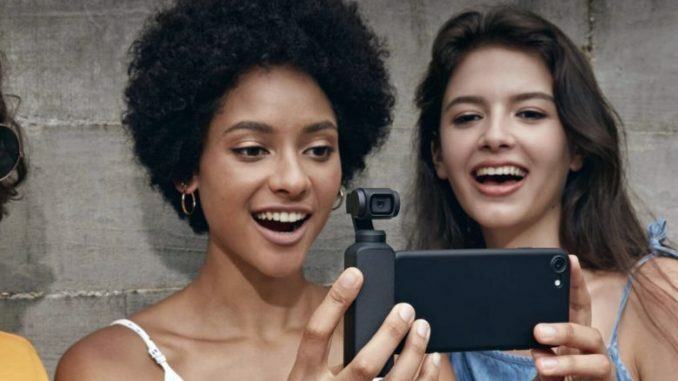 Capable of shooting 4K at up to 60 frames per second, plus Raw still images, the DJI Osmo Pocket may become the reporter’s best friend. The pocket size device also has an optional extension rod to get that proper distance for a selfie shot, and in its compact configuration, the 3 axis gimbal mounted camera can slide onto the strap of a backpack, mount to a helmet, or even on the back of your pet to capture the unique action oriented camera angles made famous by GoPro. 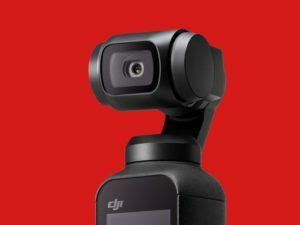 ActiveTrack – DJI’s image recognition algorithms allow Osmo Pocket to recognize and follow subjects of choice. FaceTrack – FaceTrack takes ActiveTrack one step further – it automatically recognises a human face and locks the subject in center of the frame at all times. It does not identify individual faces, but keeps the camera centered on one. Timelapse & Motionlapse – classic feature for capturing and speeding up the content, Motionlapse adds the dynamic element of camera movement to the timelapse. FPV Mode – FPV Mode lets users capture the video from their perspective. Instead of locking the gimbal to maintain the horizon, FPV tells the camera to follow every tilt and lean. 3×3 & 180° Panorama – For capturing wide-angle photos Osmo Pocket offers two Panorama modes. 3X3 takes an expansive 9 images in total while 180° mode captures 4 images. Osmo Pocket software stitches them together automatically. 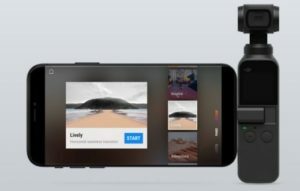 The cool feature is that the Osmo Pocket can automatically face track in “selfie mode” or with a double tap of the tiny touchscreen LCD, it can latch onto any subject in the image frame. I really like the motionlapse feature, which lets users add movement to a time lapse to make the image more interesting and cinematic. But my favorite feature is the 3×3 Panorama which shoots 9 images and automatically stitches them together to create a great looking main image. 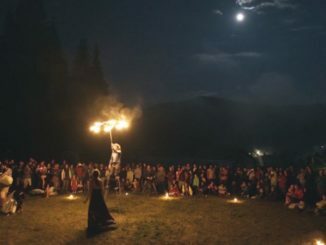 And while there’s a lot of automatic features, DJI has also created a smartphone app called Mimo which enables you to connect USB-C or Lightning devices directly and adjust all functions manually, including shutter speed and ISO, and can switch into either Story mode, which creates an Instagram like story with a simple tap, or Pro Mode, for full control. There is also a template based video editor. charging case – space age carrying case with room for SD cards, ND filters and smartphone connectors. waterproof case – allows filming at up to 60m under water. 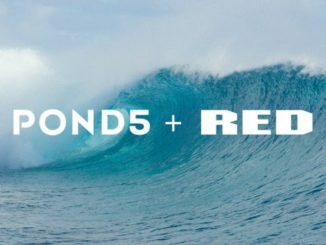 It seems to me that DJI is looking to deliver a killing blow to GoPro by aiming square at their main demographic. 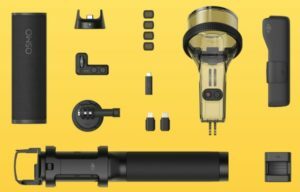 The 4K camera and gimbal look to be a redesigned version of the gimbal array on the Mavic Air, which would make perfect sense, as it gives users the same compaction functionality. It’s very similar in vibe to what GoPro was trying to do with the failed Karma drone and grip, only DJI is made it far more compact. And considering that the Osmo Pocket is cheaper than the GoPro Hero 7, why wouldn’t users flock to it? 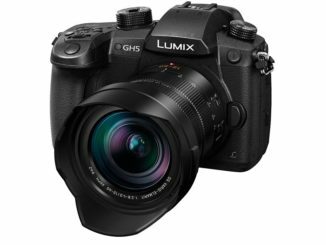 Rumor: Is Panasonic Releasing An Upgraded GH5?